In January 2008, movie star Patrick Swayze was given the worst news of his life. What he hoped was just a stomach ache was actually stage four pancreatic cancer, a diagnosis that is fatal within a year for 79% of the people to whom it is given. Remarkably, Patrick is not just alive a year later but continuing his treatment, and responding well. But this book isn't just the story of Patrick's fight against cancer. In the public eye from the early 1980s, this is the story of a remarkable life and career. Intended as a low budget, straight-to-video production, Dirty Dancingbecame a cult hit and remains one of the most enduring films of the 80s. Ghost cemented Patrick as a hugely bankable star, in a role that has had a considerable cultural impact. Most recently Patrick has returned to the public's adoring arms in TV's The Beast. This book will chronicle Patrick's personal life as well -- including his treatment for alcoholism following the death of his father and sister's sudden death. What has remained a constant in Patrick's life is his marriage and Patrick and Lisa's love story is inspiring, honest, heartfelt and transcends the typical celebrity marriage. This is a book that anyone who has faced cancer or a terminal illness can turn to: Lisa and Patrick have shown the world that cancer isn't just a diagnosis given to one individual, but a disease that can bring a household together or pull a family apart. 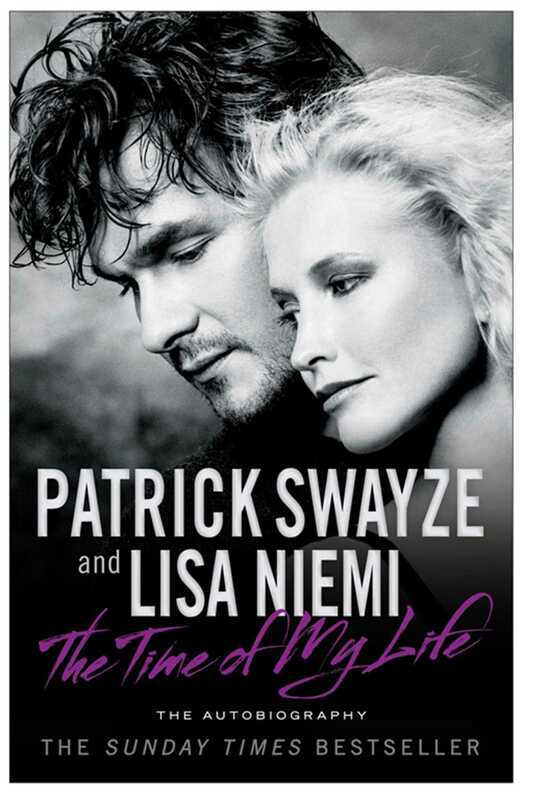 Bold, honest and inspiring, Patrick Swayze's memoir is the story of a remarkable man's life and career and of his refusal to give in. Patrick Swayze was a three-time Golden Globe-nominated actor best known for his leading-man roles in two of the most beloved pictures of all time: “Ghost” and“Dirty Dancing.” Along with these high grossing, history-making films, many of his other movies have achieved a cult following, and his television series, “The Beast,” was a critical success. Also a singer/songwriter, dancer, and stage actor, Swayze grew up in Houston, Texas. He passed away in September 2009. Lisa Niemi wrote, directed and produced the film “One Last Dance” in 2004. She has held many film, television, and Broadway roles and also wrote, directed and starred in the play “Without a Word” with her husband, garnering six Drama Critics Awards. Before turning to directing and acting, Niemi began her professional life as a dancer. Lisa resides on a ranch outside Los Angeles.